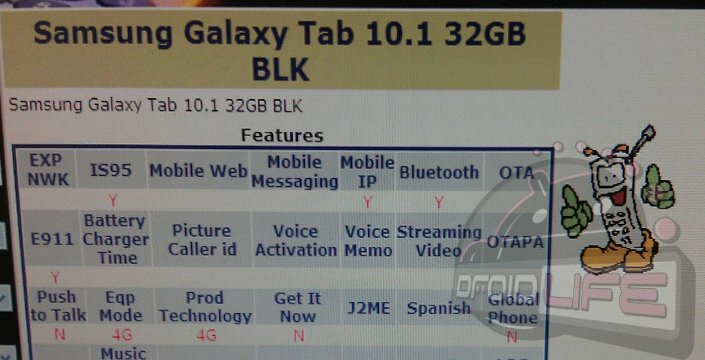 Almost 3 weeks now, we first reported news that Verizon may be planning to carry a 4G LTE version of Samsung’s new Galaxy Tab 10.1. The device was only showing itself as the SCH-I905 in one of their internal systems at that time, but as of this week has been updated to reflect the actual name. None of the other details have changed since our initial report, which means we should still see both black and white versions along with two storage size options: 16GB or 32GB. Oh and if you needed extra confirmation about these devices, then we’ll look no further than Samsung’s CEO J.K. Shin who in an interview this week, talked about their plans to introduce an LTE tablet this year. We’re assuming he meant this one.